Backed with support of experts, we are involved in providing a faultless range of Industrial Press Tools to the valuable consumers. 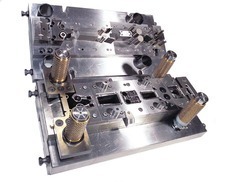 Being a well-distinguished company in the market, we are into offering Industrial Press Tool. Design of press tools using Auto Cad and manufacturing is undertaken for in house use for the production of Press components. Catering to the needs of various industries, our organization is indulged in manufacturing and supplying excellent quality Press Tools. Qualified professionals hired by us manufacture these tools using latest technology and advanced machinery. Owing to their enormous features, these press tools are widely applicable in the automobile industry to die sheet metal components. We offer Sheet Metal Press Tools & Dies that are manufactured using innovative techniques to ensure international quality standards. They are known for their attributes like durability, smooth finish and dimensional accuracy. 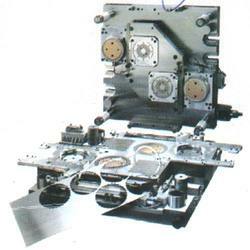 Owing to these features, AE dies are used in various industries like automotive & electronics.